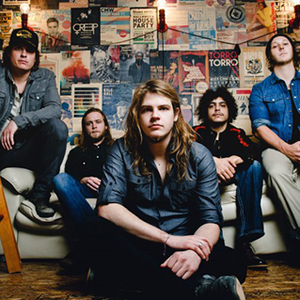 The Glorious Sons is a Canadian rock band from Kingston, Ontario. Formed in 2011, the band signed with Black Box Recordings in 2013. Since then, The Glorious Sons have released one EP, Shapeless Art, and their debut album, The Union. The Union was released on September 14, 2014, and produced several hits on Canadian Rock Radio.